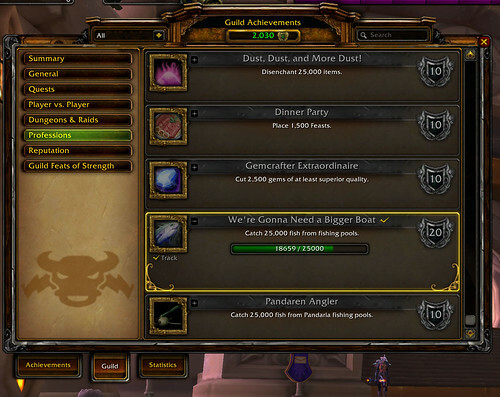 In case you missed it, I wrote an article about guild achievements for Blizzard Watch. There just aren't guild achievements anymore other than kill x boss in x raid. I miss that. So, heading over to Deathtacular, which doesn't have the achievements Spectacular Death does, is a way to get that splash of a fix when we achieve something. Toward that end, and because a few of you have asked for more scheduled horde time, next year (!!!) you'll see horde nights where we work on gathering professions. Look! We don't have any of these. We also need Baradin Hold from Cataclysm content but first, we need horde to take Tol Barad in order to get into the hold. 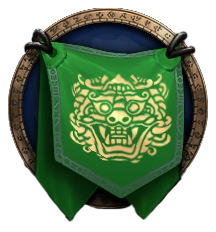 We need mythic content of raids but in order to get that, we must have at least 16 people from the guild in the raid. I'm going to have us work on easier achievements. Horde bank got a thorough clean-out, too. Oh the perils of playing mainly Alliance. There was a sweet surprise in the mailboxes of some players who came to Dragon Soul tonight. You might want to watch for horde events so you can get a surprise, too. Unfortunately, no mounts dropped for the crew, but, if people are interested, we can schedule Alliance and Horde mount runs for January. You never know.